Gladiators, the time has come! Warriors from the most distant part of the world, join open beta, fight on the arena, annihilate your foe and claim unique skin for your hero! Our first global tournament starts today (March 27th) and will end on April 10th. Prepare your VR equipment (Oculus Rift or HTC Vive) and if you dare - join PvP arena! 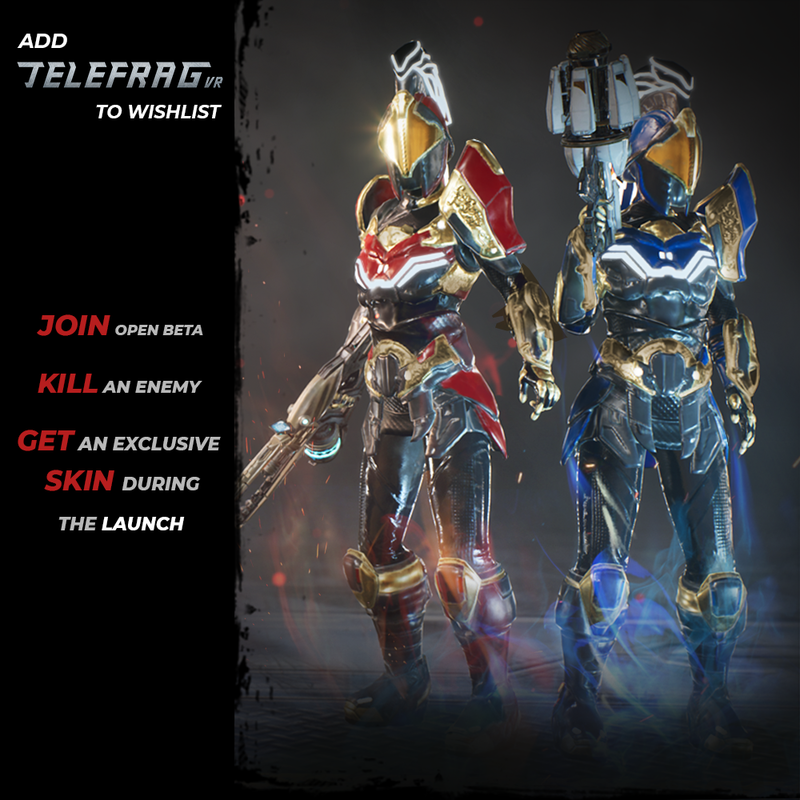 Click HERE to read the guide, about the basics of Telefrag VR. Help us make TelefragVR better on its release. Send us your feedback, suggestions or just let us know about errors here on IndieDB. 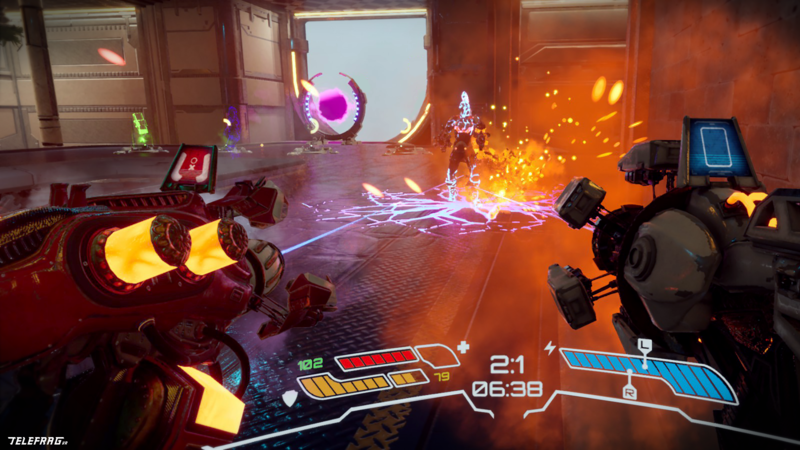 Our goal is to bring to you mayhem and excitement which we know from Quake 3 Arena and Unreal Tournament to Virtual Reality. And one more thing. 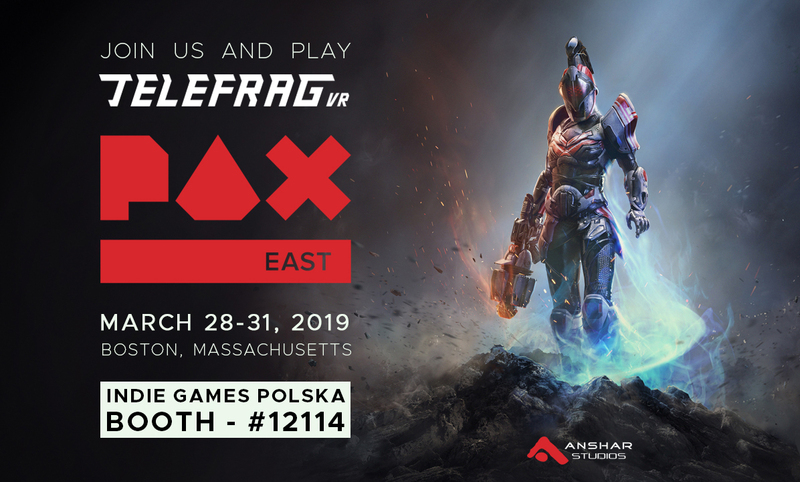 If you heading to PAX East in Boston this year, visit us - booth no. 12114 (Indie Games Polska). Give us a high five and try to beat us in PvP arena shooter! For the most skilled gladiators we have gifts, so prove to us that you are ready to take first place in the competition. Anshar Studios seems to really came through for those who like fast-paced shooters. There has never been a game that I've been so keen to play pretty much immediately after I'd heard of it. And I'm glad that this one has an Open Beta.